Now your grill is a pizza oven! We’ve done our research and this kit makes fantastic outdoor pizza easy. • Make great pizza without heating up your house in hot weather. • No more scorching your crust or having to flip your crust and build your pizza halfway through the baking process! • No more cracking pizza stones with sudden changes in temperature. • Works great with gas or charcoal grills. The ‘stone’ is cast iron, so it won’t crack like a pizza stone might in an outdoor grill. The perforated disk is easy to build your pizza on and keeps air circulating to guarantee a crisp pizza crust. 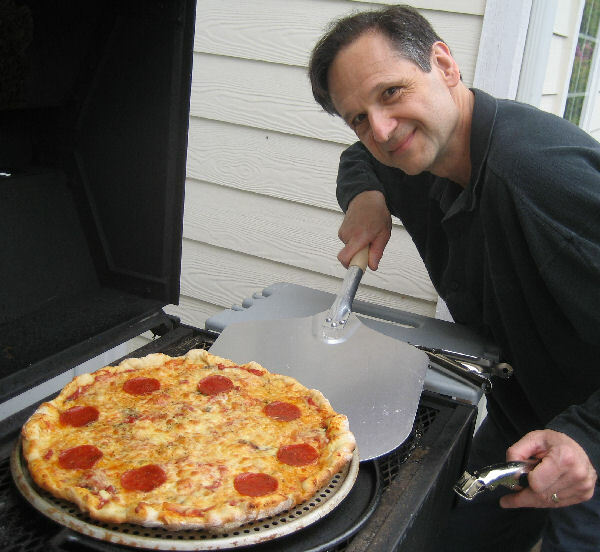 The fine aluminum peel delivers your pizza into and out of your grill with ease. And we’ve thrown in a couple of pan grippes for even more control. All at a great kit price. Matched perfectly to your pizza grill kit's perforated disk and cast iron pizza pan.Hardwood handle. 12 in L x 14 in W blade, 26 in overall length. 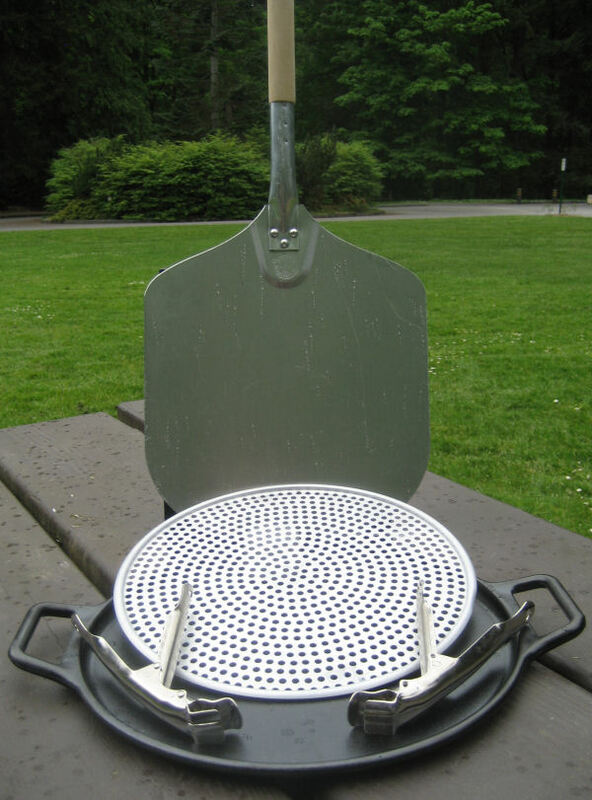 Perforated Pizza Disk fits perfectly on your Pizza Grill Kit's cast iron pan. 2 Pizza Pan Grippes, 8 inches long, to maneuver your pizza on its disk.